Belvedere Suites offers the unique chance to take the power of the true Santorinian landscape with you with the view from the balconies and the premises of Belvedere Hotel. White is the dominant color in our suites….and creates a harmonic environment, an elegant surrounding and the ideal place for relaxation and recreation. 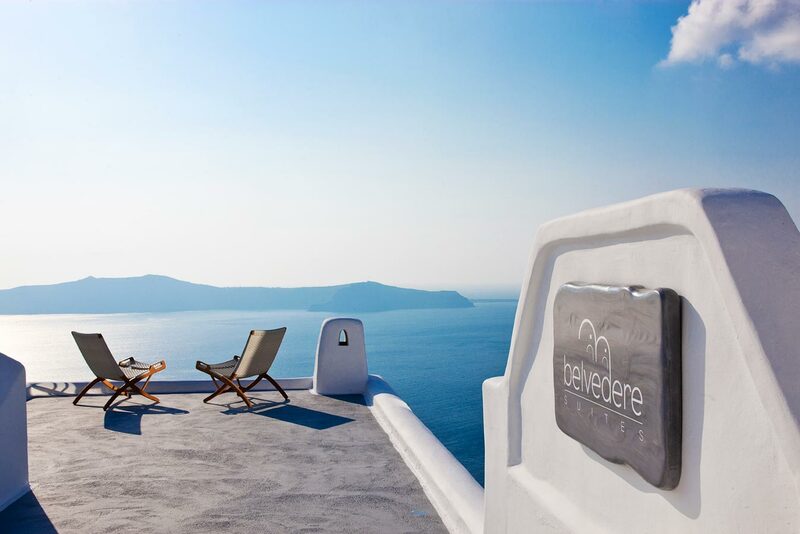 Belvedere Hotel is located in Fira, the center of Santorini, hardly 7 km from the calm beach of Monolithos, 12 km from the organised beach of Kamari and 14 km from cosmopolitan Red Beach. The rooms of Belvedere Suites in Santorini are designed with a touch of luxury and furnished with a breathtaking range of facilities to make your stay comfortable. These rooms are beautifully appointed and perfectly equipped including a comfortable Queen size bed for the ultimate sleep experience, bathroom with amenities. The bedrooms are tastefully designed and lavishly furnished with magnificent bathrooms and rain showers reflecting the latest in design and technology. The suites of Belvedere Hotel were built from the beginning with one thought; the creation of a place that you feel like your Santorinian home. Belvedere hotel has three types of rooms with classy decoration. People of Belvedere took a great care of every single detail. 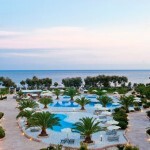 All rooms have balcony with view in the Aegean Sea and the Caldera and also all comforts of modern hospitality. The beautiful lines of the local architecture have been matched with the latest suggestions of superb accommodation. The cosy and glamorous atmosphere of the hotel will take you into the new splendid world of Belvedere Suites in the Santorini Island. Hotel facilities: 24 hour reception, American breakfast buffet at the pool area, room service, maid service, laundry & ironing service, swimming pool with Jacuzzi, pool bar/snack bar, gym, wireless internet.